Here it is. The soundtrack for the inevitable robot insurrection. You know, when they rise up and kill us all. 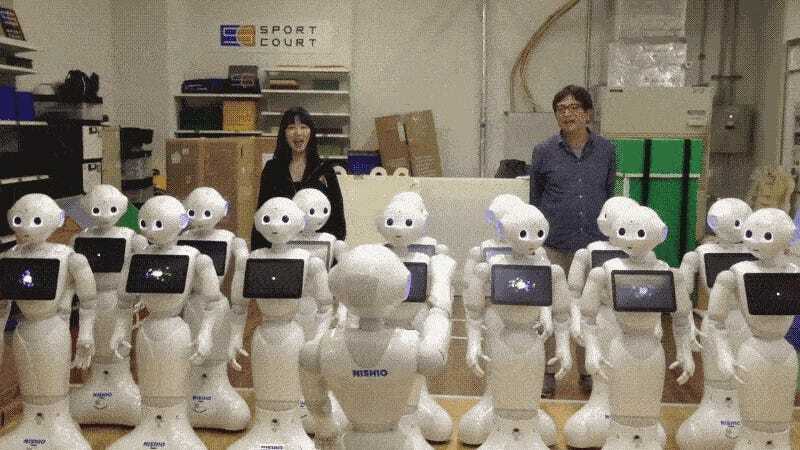 Via Culture Lab, we have fifteen Pepper robots singing Beethoven’s Symphony No. 9.